Amazing smelling laundry doesn’t need to be expensive or complicated. 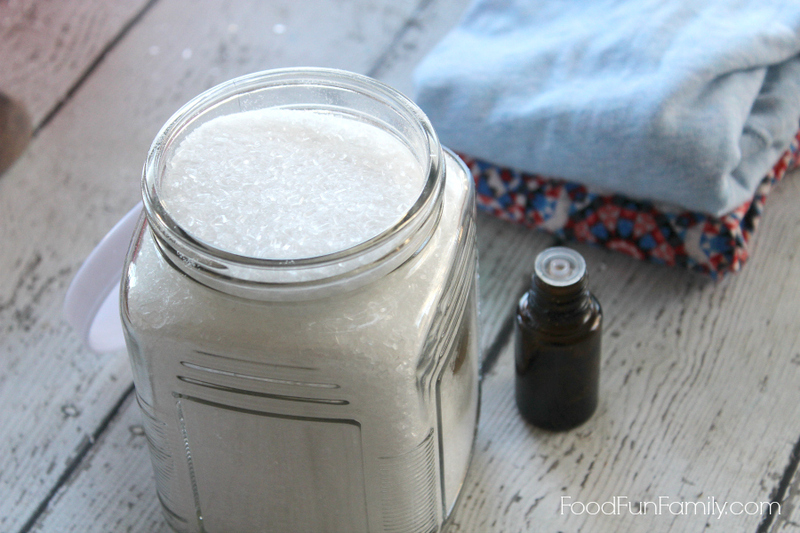 Adding a DIY Laundry Booster to your wash is a great way to end up with a dryer full of soft, static free, and scented laundry in a more natural, earth-friendly way. Note: affiliate links are used in this post to point you in the right direction for the products we used and recommend. All prices are the same for you, but I can get a small affiliate commission for sales. The beauty of this DIY recipe is that, besides being easy and inexpensive, you are able to use nontoxic ingredients and customize the scent to your liking. You can create a new scent profile every time you make it or keep a few varieties on hand for different family members. 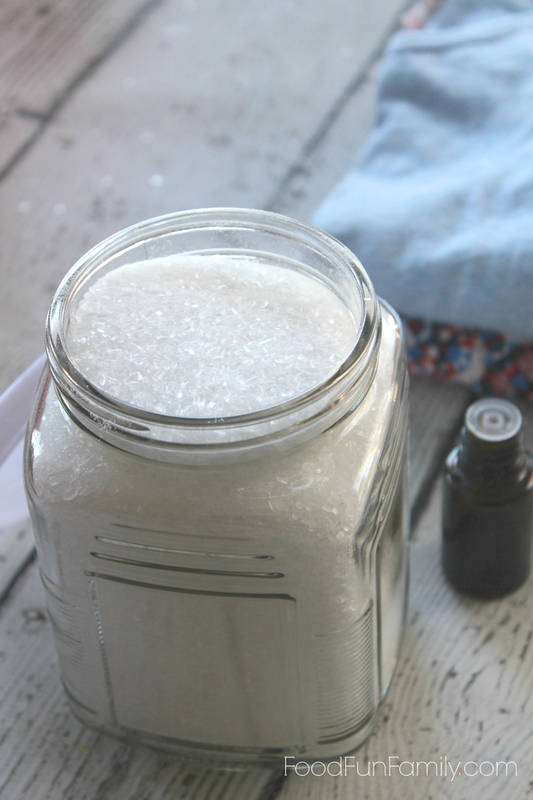 DIY laundry crystals also make a great hostess or housewarming gift as well when put the mix in a pretty jar with a small wooden scoop (I LOVE these!!) and a homemade tag to identify the scent and ingredients. 1. 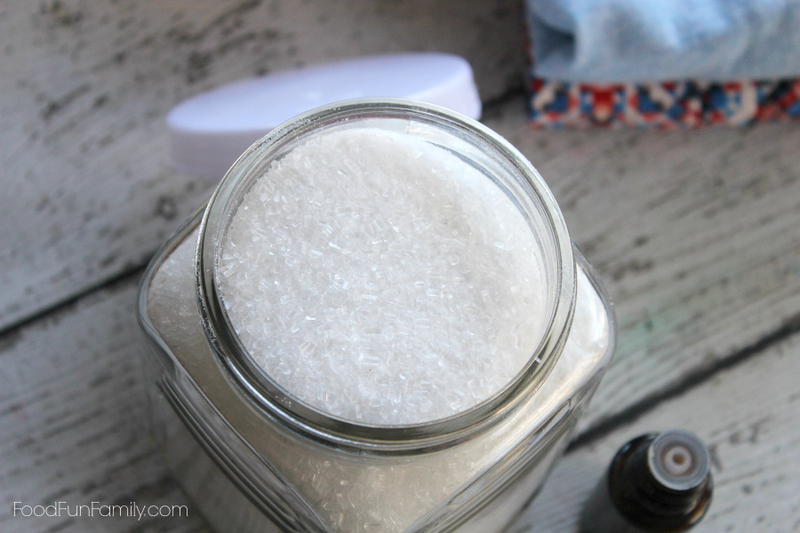 In a large bowl stir together epsom salt, baking soda, and desired essential oils until well combined. 2. Transfer to a container with a tight fitting lid, mason jars or other pretty containers from the Dollar Tree work great for storage. To use: Add 1 T. to washer before adding in clothes, turn on water, then begin filling the washer with clothing. It’s really that simple! I love being able to use homemade products like these at home so that I know exactly what is going on my family’s clothes. What scent combination would you prefer…or do you have a favorite scent combo that you’ve tried. I’d love to add more variety to my laundry repertoire. Can you use fragrance oils intead of essential oils in this recipe? Essential oil seems to fade in the dryer so the sent will not last with essential oil but fragrance oil will last longer. I’m guessing you could, but I’ve never tried that. Wonderful! 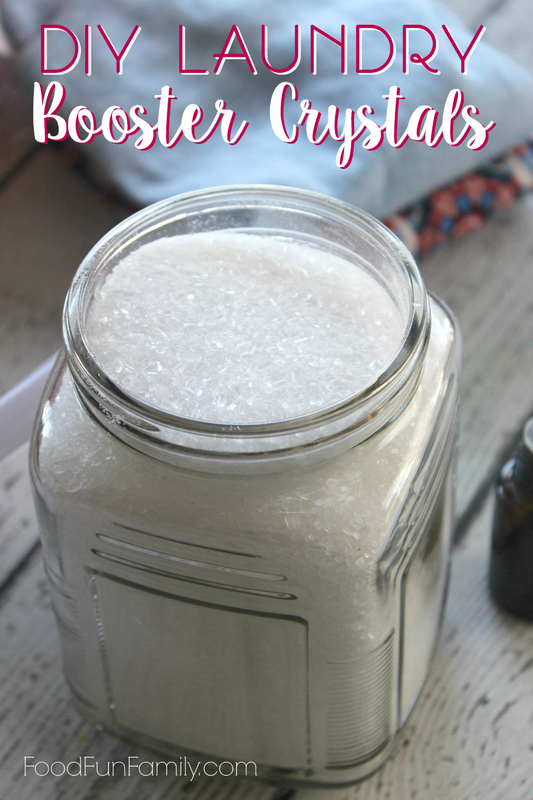 I’ve been using this recipe for bath salts for years! I have a brand new washer that you can’t fill with water without the Luz locking……will this harm the clothes ? I can’t see why it would harm the clothes, but I’m not familiar with newer washing machines and can’t really speak to those. What a great gift idea this would be to make. I would love to this on my own laundry too. I’m kind of new to making my own detergents but I’m open to the idea. Looks simple enough, thanks for the recipe. Can you use this is an HE washer? I’ve never used an HE washer so I’m not familiar with the rules. I would think that if you’re able to use store-bought laundry crystals in your washer, then these would be just fine. I love this idea and will definitely be implementing it into my laundry routine. 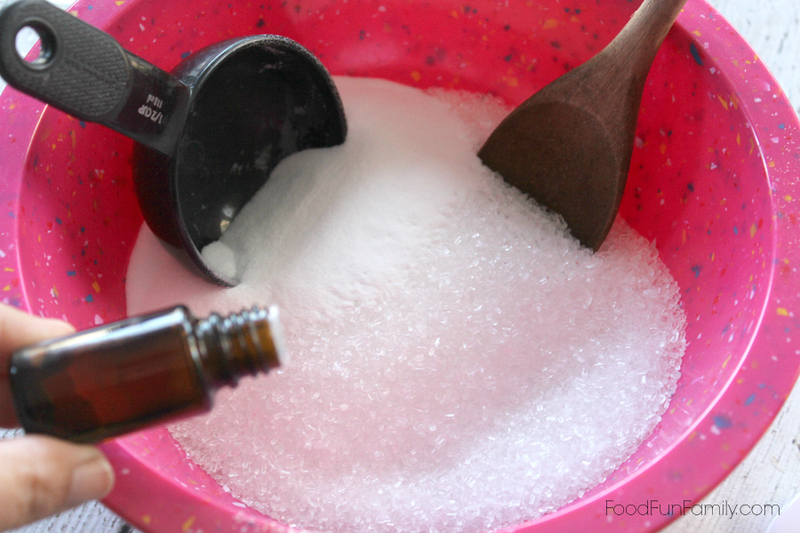 I always used lavender essential oil on the dryer balls, but like this method so much better. I’m so excited to try this and pinned it so I can reference it. Thank you for the post. I use lavender and rosemary. I will add baking soda to my next batch. I make my own detergent and dryer balls. Merry Christmas to you and and yours. Wow, I make a bunch of my own cleaning stuff with essential oils, but I did not now about this! 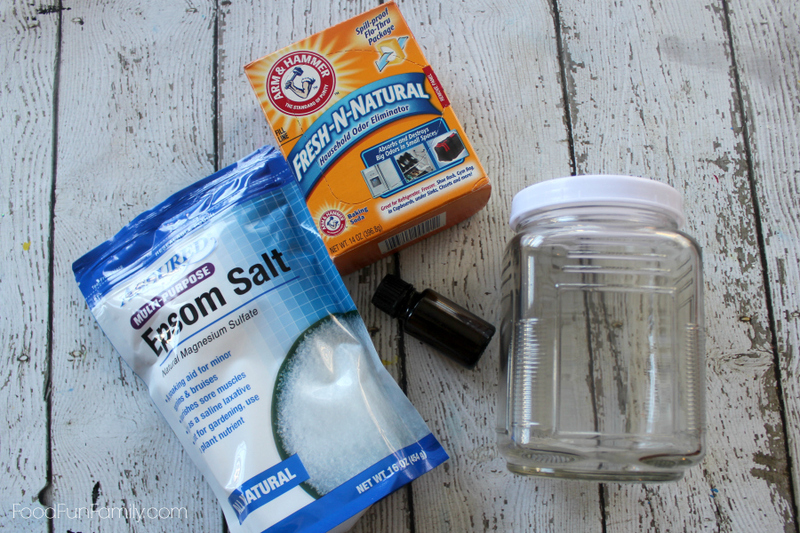 I’ve never seen a recipe like this before using epsom salt! I really want to try this. Thanks so much! Is this meant to be used instead of laundry detergent or as well as detergent? A laundry booster is meant to be used along with your normal detergent. Hope that helps!